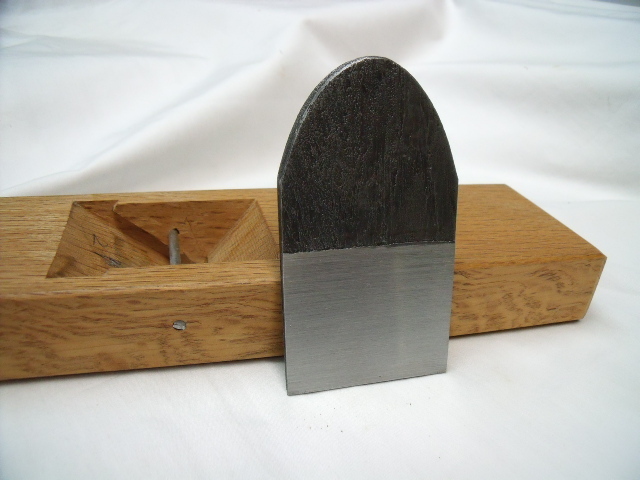 This plane is made from special edges steel and soft iron which was made from old chains.By using such soft iron,this plane is easier to sharpen than standard plane. Fine molecular tungsten added to the steel provides a higher durability than the blue steel. It performs lighter cutting and easy work in shaving. It is intended for cutting softer woods, as well as for hard woods, so that is easy all around.